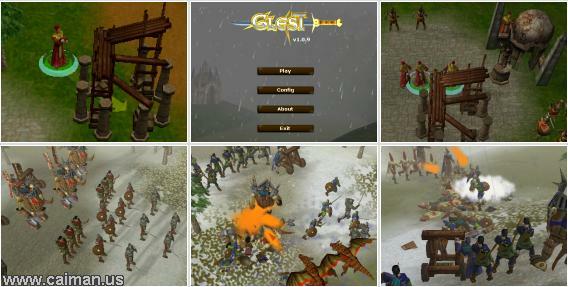 Caiman free games: Glest by The Glest Team - Martino Figueroa and others. 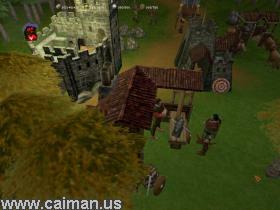 In this Real Time Strategy game, you have to harvest, to put buildings, create an army and destroy the enemy. 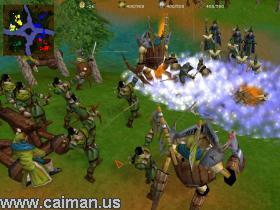 The gameplay let me think on games as WarCraft, Empire Earth etc... The graphics are really fantastic. In fact everything is fantastic. It's surely the best freeware RTS game I ever saw. Not only you can setup many options, the game is customizable too! It's impossible to explain the whole game here, so let us say: If you like RTS games, you must try this one! It is a top game, but you need top system requirements too. I tested the game on my 1,67 GHz - Geforce2 computer and had to switch off the shadows and 3D Textures else it ran too slow.